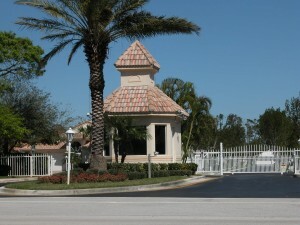 The highly desirable gated community of around 103 homes in Jupiter that runs along the Jones Creek and Preserve. A mix of single and 2-story homes built in the late 1990’s and are made of concrete block construction. Community pool and park.